Syscraft is Young at Heart but with an experience of a Veteran in the IT field. This has helped us establish ourselves in the Pune market over the last 18 months. With Firm determination, customer acceptance and vendors support, we expect to Triple our revenues YOY at the least. At Syscraft, we have a combined experience of over 50 man years in the IT infrastructure business. We have been helping customers through the entire Infrastructure Optimization Lifecycle. With expertise in licensing of multiple software publishers and hardware OEMs, Syscraft is uniquely poised to help customers get the most out of their IT investments. Having worked closely with customers for over 20 years, we understand customer needs, constraints and can offer solutions that are not only the right fit for now, but also future. 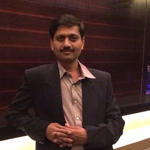 Founder member of Syscraft, Rakesh comes with 15+ years of experience in the IT Field. He specializes in IT Infrastructure domain and has a deep understanding on Compute, Storage and Virtualization technologies. His professional experience includes all aspects of Sales and Distribution, Marketing, Team handling etc. He has worked on complex Infrastructure projects and has the passion to help his customers reach their desired business outcomes. He spearheads the Syscraft Sales and Operations. 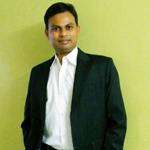 Techie by Profession, Vaibhav specializes in Collaboration, Information Security and Management solutions. He has 10+ years of professional hands-on experience in core IT System Implementation, Administration, Server migrations, Cloud-based migration, Backup and Disaster recovery. He is quick to identify security gaps and suggest Right fit solutions in large & complex IT environment of customers. At Syscraft, he is the backbone of our Pre-Sales and Technical services division and is completely focused on planning, managing and execution of IT Projects. He is instrumental in developing the Technical services team and also in setting up metrics and processes for future advancement. Our vision is to be the “Partner of Choice” for our esteemed customers by providing innovative IT solutions that are not only the right fit today, but also scalable to meet the future needs of a growing business. With in-house technical expertise in all our lines of business and growing support from all our Technology partners, every day we are inching towards this singular goal. We believe Technology is for People. Products, Services and solutions can change, however people at both ends will always matter. Hence at Syscraft it really is about our Customers and Employees First. With decades of experience under their belt, we are happy to work with Syscraft team. They are responsible , reliable and cost effective. We had the confidence in the teams ability and have entrusted them with a very large transaction recently. Syscraft team not only helped us get the Best deal on price but also helped us get our transaction financed. Syscraft has deep understanding on the Licensing of various Software publishers. We have started working with them recently and have got the right advice at the right time. We always had the confidence in Syscraft team’s ability and have entrusted them with a very large transaction recently. Syscraft team put our interests ahead of everything else and not only helped us get the Best deal on price but also helped us get our transaction financed. It all started when we were offered the IT Infrastructure Assessment by Syscraft. Their findings were precise and were given based on our present and future requirement. Their commitment on Delivery, Installation and configuration was Spot-On which helped us plan our internal resource requirement accurately. Syscraft has deep understanding on the Licensing of various Software publishers. We have started working with them recently and have got the right advice at the right time. Their relationships with the vendor helped immensely work out a WIN-WIN deal and they also went one step ahead to suggest us to avoid this circumstances in the future by adopting a proper Software Asset Management Tool. Today we are confident about our Software usage across all our locations and users. We had the confidence in the teams ability and have entrusted them with a very large transaction recently. Syscraft team not only helped us get the Best deal on price but also helped us get our transaction financed. With decades of experience under their belt, we are happy to work with Syscraft team. They are responsible, reliable and cost effective. We have opted for their Onsite FMS services for one of our plants, they have been prompt in all emergency response situations and have handled themselves with a professional and transparent attitude. Syscraft team is genuinely knowledgeable, professional, reliable, transparent and honest service provider. The guys on-site have a Can-Do attitude and are always willing to assist any challenge that we face on a daily basis. Understanding the needs of our business and assisting us in achieving our objectives are at forefront for the Syscraft team.